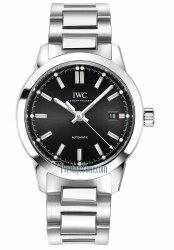 Buy a discounted IWC watch from Prestige Time and get free shipping. Large selection in stock. IWC watches, is an iconic brand. 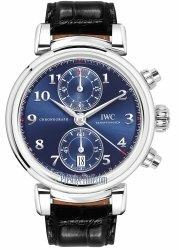 The IWC Portuguese, a collection that includes the IWC Portuguese automatic and IWC Yacht Club chronograph is legendary. IWC Schaffhausen is also known for the IWC Aquatimer, Top Gun, Big Pilot watch, Mark XVII, Pilot's Watch, Spitfire chronograph and their Big Pilot Watch, the St-Exupery. The International Watch Company (IWC) is a combination of an American dream and Swiss technology to produce top quality watches. In 1869, Florentine Ariosto Jones, an American from Boston, utilized the world renowned Swiss watch making craftsmen and rented his first factory in Schaffhausen, Switzerland. His objective was to draw from all the excellence of the American watch system of mechanism with the intense skillful watch handiwork of the Swiss. In 1875, IWC watches completed its own building on the Banks of the Rhine River. Overlooking the magnificent river, the IWC factory remains the only watch factory in East Switzerland to this day. IWC has stayed true to its original designs of classic simplicity with contemporary nature being a statement of the brand. Ferdinand Porsche worked for the company as an external designer for a while, and the first use of Titanium in Watch manufacture came through IWC. IWC also manufactures many watches made with precious metals such as yellow gold, rose gold and white gold. 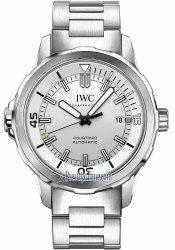 IWC Watches developed the Aquatimer watch, which was the first diver's watch to be developed in 1967. A complete line of inventive diver's watches are available in the IWC Aquatimer series such as the IWC Aquatimer Split Minute Chronograph and the IWC Aquatimer Automatic 2000. The latter is for the most extreme diving professional, as it is made with titanium casing and allows pressure resistance down to 2000 meters below sea level. 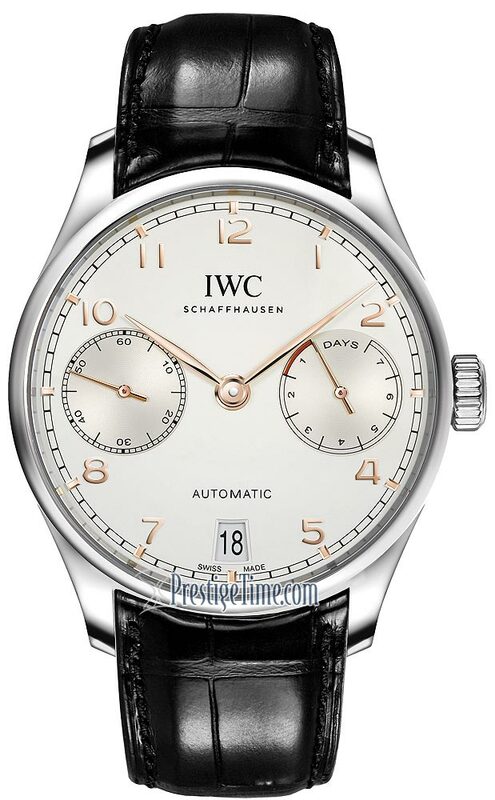 Perhaps the most popular and well known series from IWC is the IWC Portuguese watches or "IWC Portugieser". 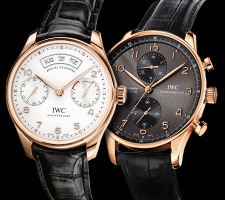 Recently they started adopting the newer version of the name for this series which is now called the IWC Portugieser. Included in this line are the IWC Portuguese Regulator, IWC Portugieser Chronograph, IWC Portugieser Yacht Club Chronograph, IWC Portugieser Annual Calendar, IWC Portugieser Chronograph Classic, the IWC Portuguese Perpetual Calendar, the IWC Portuguese Perpetual Calender II, the IWC Portuguese Automatic, the IWC Portuguese Automatic Chronograph now branded as the Portugieser Chronograph, the IWC Portuguese Minute Repeater, the IWC F.A Jones Limited Edition, and the prized IWC Portuguese Tourbillon Mystère, with its impressive seven-day power reserve. The IWC Pilot's watches are also extremely popular; let's lead off by the IWC Big Pilot. The IWC Big Pilot's Watch with an oversized case and seven-day power reserve. 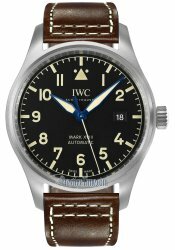 There are IWC Pilot's watches which include the Spitfire Mark XVI, the Spitfire Automatic Chronograph, the IWC Spitfire UTC, the IWC Classic Mark XVI, Mark XVII, IWC Top Gun Miramar, and the IWC Classic Double (sometimes referred to as IWC Dopple) Chronograph. 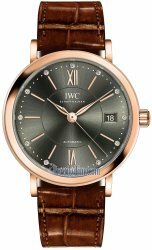 IWC watches are for the real watch enthusiast, offering him must-have watches with limited editions and highly sought after designs, including the Vintage Collection, Portofino Automatic, Da Vinci watches, and the New Ingenieur Collection, the IWC Classic Automatic Chronograph, which clearly distinguish IWC from the competition.